A School Leaver thinking of a career in yachting? 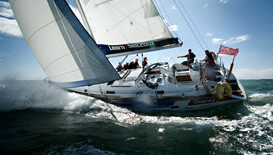 You can fast track your learning through the RYA courses with one of our Fast Track Programs. If you love fresh air, freedom with the opportunity to travel world wide, then consider taking the Professional Crew to Yachtmaster Commercial courses that we detail below. Fast Track Iberia - for full schedule, prices and details please contact us. Click here to complete our online Course Profile form and let us tailor a course to suit you! 5 days Yachtmaster exam preparation and 2—day allowance for MCA exam. Our price includes transfer fees from Faro Airport to Albufeira, use of all equipment on the yacht, safety and personal. Gill breathable wet weather gear, plotter and dividers, all training books and associated materials, exam and certification fees, meals onboard, fuel, berth/mooring fees, laundry and bedding and accommodation during courses. Also include is wi fi onboard when within range. Price excludes, air fares to and from Faro International airport, your ENG 1 medical certificate or acceptable equivalent, meals taken ashore. Please contact Learn2Sail for prices. Whatever your level we will develop your skills and knowledge into confident ability and experience. Every aspect of your programme is personalised and supported by a training mentor. 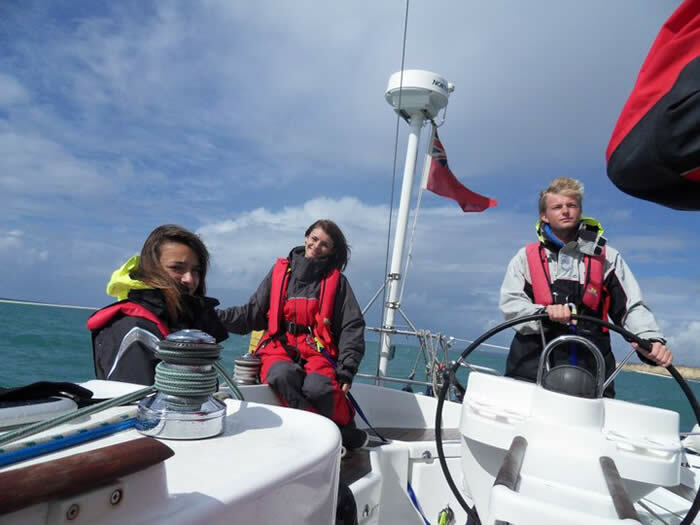 We can run a full course of 12 weeks taking you to RYA Yachtmaster Offshore. Or “pick & mix” from our 4—week Pro—Crew or 8—week Skipper courses. Practical Courses in the Atlantic Portugal, Gibraltar, Morocco and the Spanish Rias of NW Spain. the itinerary is personally matched to your diary, family and career commitments. Experience and mile–building may be with our professional partners in Deliveries, Traditional or Modern to suit your development. Testimonial by Nathan and Laura Kurton. "We completed our Yacht Master Fast Track course with Learn2sail in November 2010 and initially chose them due to their location and price. We were initially apprehensive about the possibility that the area wouldn't prove challenging enough, however the Algarve provided us with tidal streams, bouyage systems, traffic separation schemes, rogue fishermen and much more all in the warmth of the sunshine. Being in Portugal certainly made the experience more enjoyable. We felt completely looked after and totally satisfied with the level of instruction that we received. Our best interests were always top priority. When our exam approached we felt completely prepared and ready. 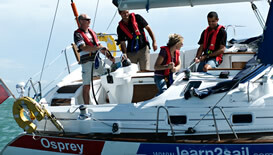 We would definitely recommend completing any course with Mark and Jane at Learn2sail. You won't be disappointed; they are lovely people and provide a fantastic learning experience." Thank you Mark and Jane.